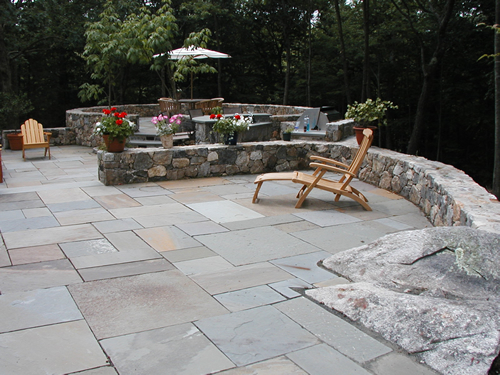 When the weather is nice everyone wants to spend as much time outdoors as possible. 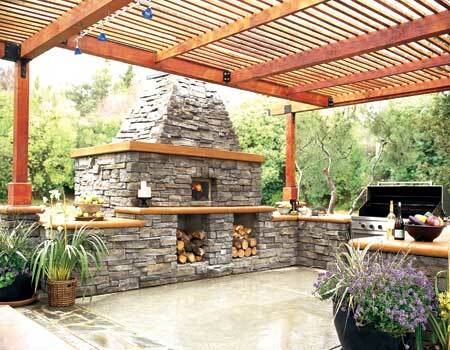 Wouldn’t it be nice to move your entire kitchen outside to entertain guests and spend time with family? 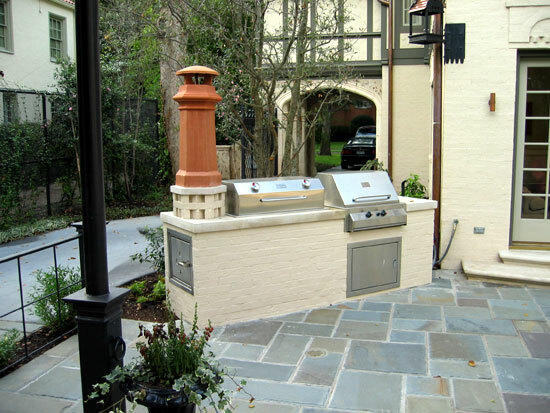 We can easily make it possible by designing and installing a beautiful outdoor entertainment space or perhaps a kitchen, specifically tailored to your backyard and lifestyle! 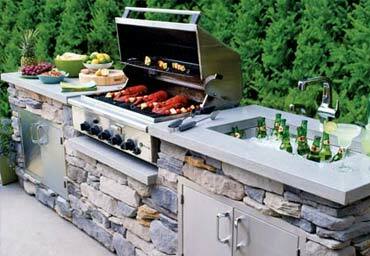 Outdoor grills or kitchens are fabulous additions that the whole family can enjoy. 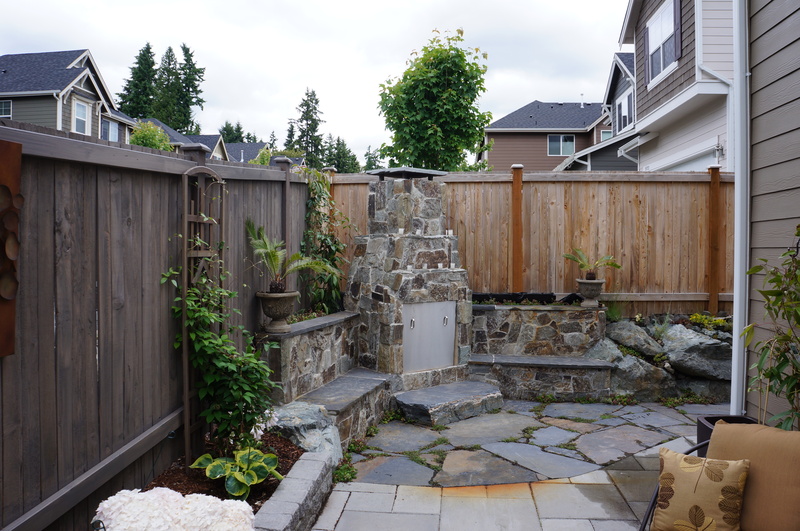 Your new professionally designed outdoor space can be used as the main attraction at a party or can simply be used on a daily basis to enjoy a pleasant meal with family and friends. 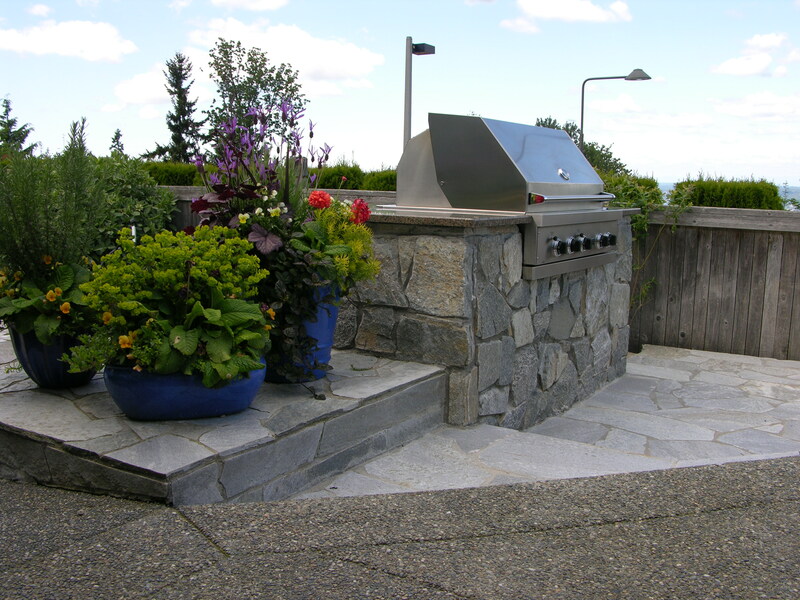 Outdoor kitchens are popular not only in regions where the summers are long but also in places where the time to enjoy the warm weather is short; it’s a fine way to experience the great outdoors together to the fullest. 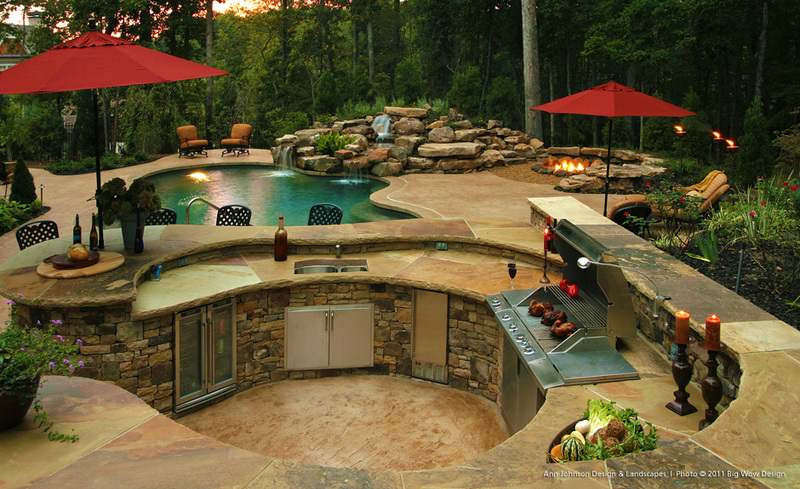 Why not take all that time you spend in your kitchen, isolated from your guests and family to join the party and enjoy the open air! 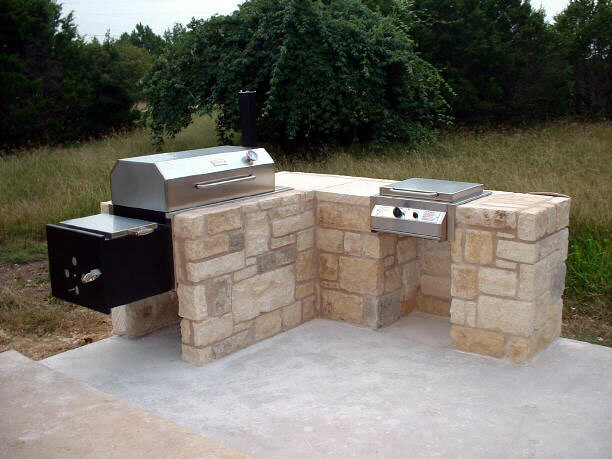 Cooking grills are most often the central element of an outdoor kitchen so we offer many options in our designs. 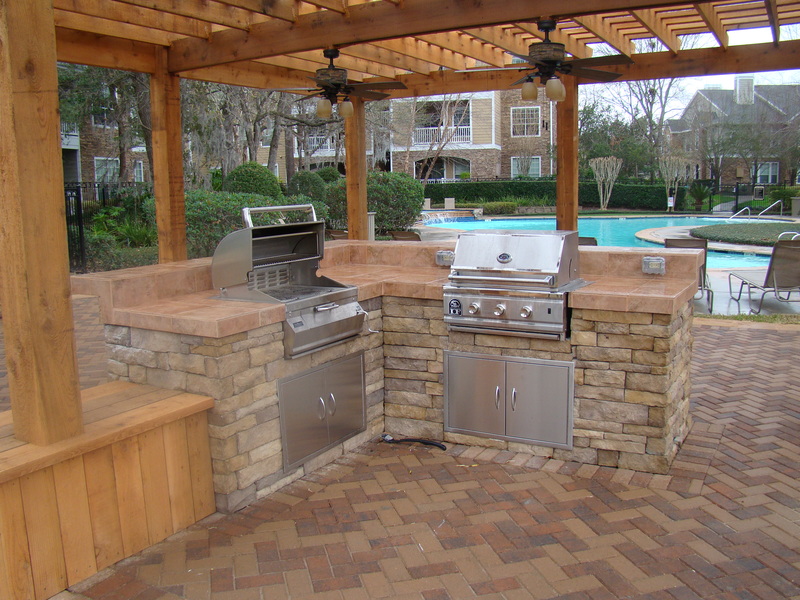 We will also make sure you have any other appliances you might need for maximum functionality including sinks, drawers, additional stove top burners, beverage bins, bars, counters and more. 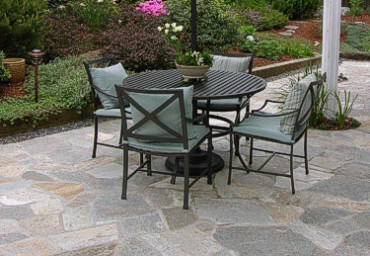 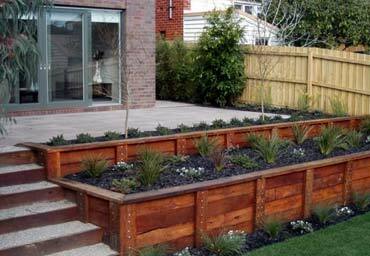 More importantly, we’ll ensure that all of these pieces are perfectly suited to your outdoor space, designed and built to withstand seasonal weather. 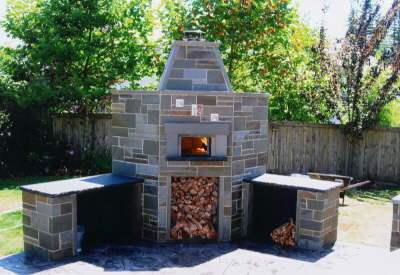 Our expert craftsmen will take all the design elements of your home, the surrounding area, and even weather into consideration in order to achieve the most effective and beautiful outdoor kitchen or grill to fit your unique environment. 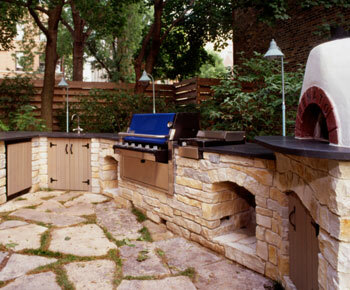 We can also customize your space depending on what kind of entertaining you plan to use it for. 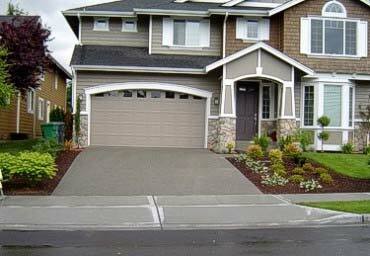 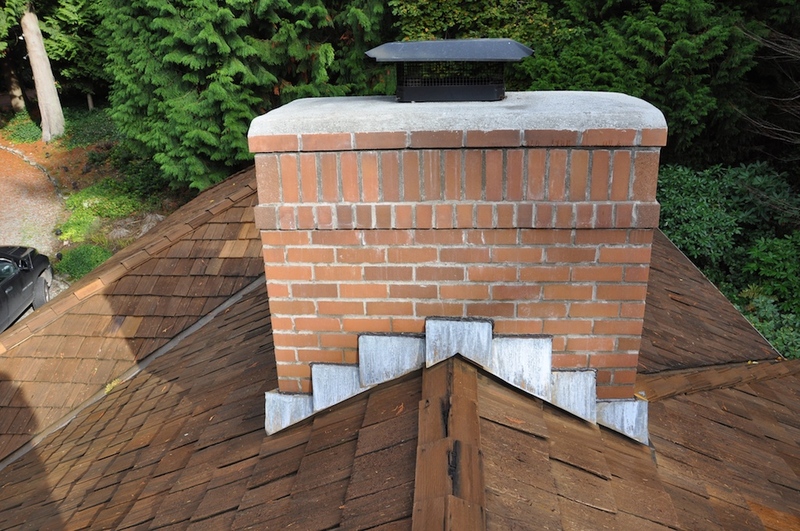 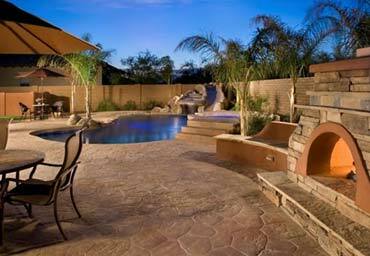 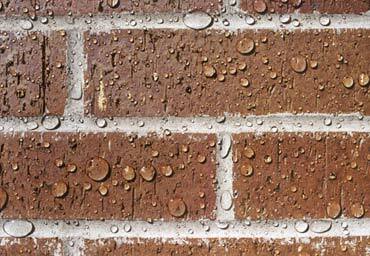 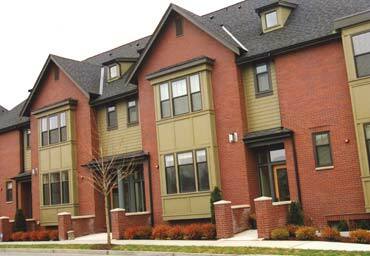 Materials often used include natural stone, flagstone, cobblestone, brick, concrete and even stucco. 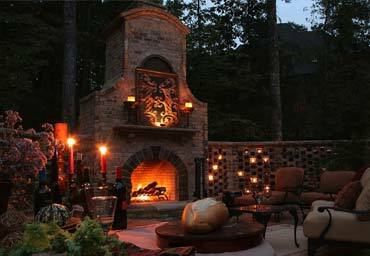 Combination of mediums is possible to create beautiful one of a kind structures.